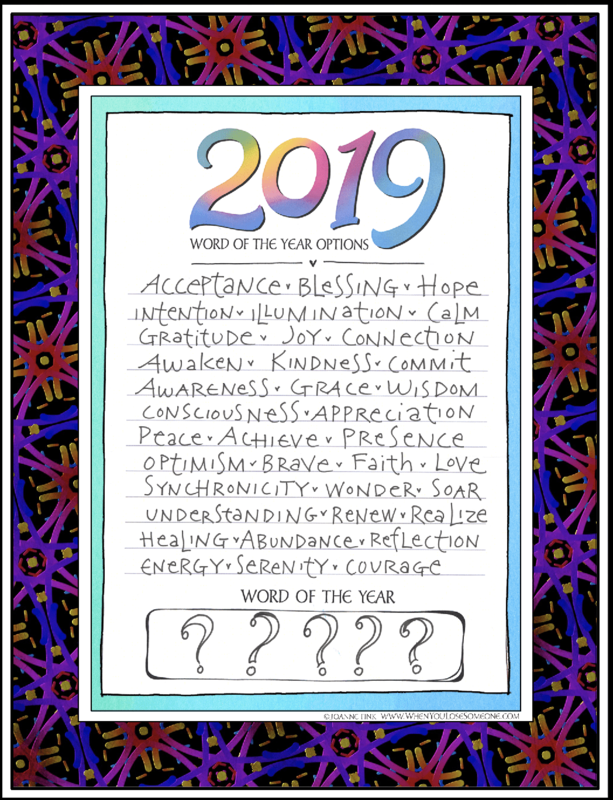 Selecting a Word of the Year– both personally and for the Zenspirations® Community– has become a treasured annual spiritual practice. Part of this process involves reviewing my core values, and ensuring that my actions and my values are in alignment. This leads me to reflect on what’s missing in my life, so I can choose a word which will help me fill the gaps. As a lettering artist and writer I am enamored with words, what they mean, how I can interpret them visually, and how I can incorporate them into my work in an uplifting, inspiring manner. I love learning what words resonate with others, and how they hope the word(s) will help them grow in the year ahead. Kristen Zeitler said: “I chose the word Intention because I want to start living with more intention. I was inspired to pick this word because of a recent situation where hundreds of people chose to send my daughter Christmas cards. I was so moved by their intentions – by the fact that people, some strangers, took the time to write beautiful messages, buy or create cards and send them to her. It took intention. A choice to do something to engage my daughter and share joy. I want to spend 2019 responding to situations in a positive way. Engaging in relationships that are healthy and inspiring. I want to spend moments engaging with people instead of staring at my phone. I hope I can be more mindful and give people my full attention. 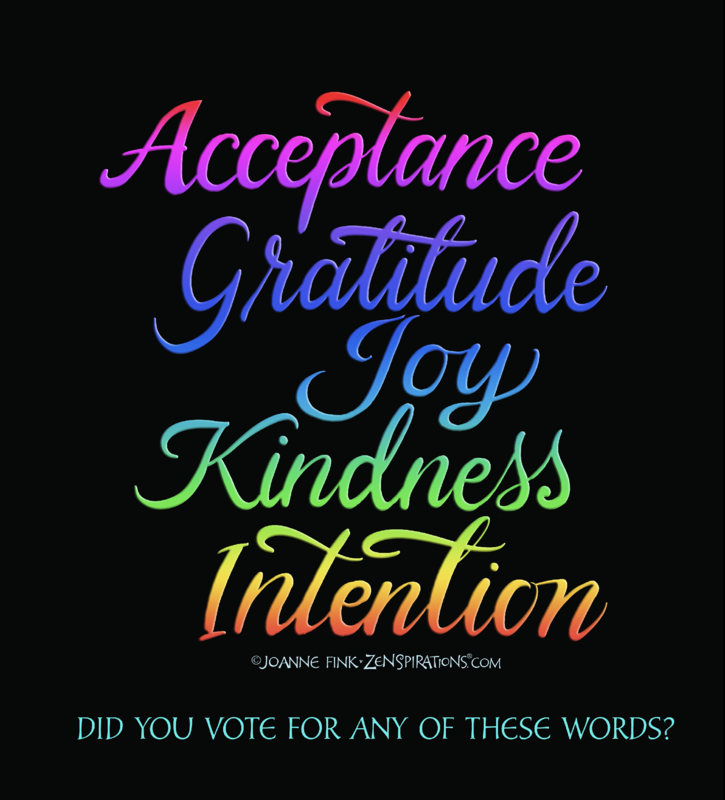 I hope to share all of these words: acceptance, gratitude, joy and kindness by living with intention. (Me too, Kristen!). Although there were 15 votes for ACCEPTANCE in blog comments, there were more than 40 votes on Facebook for KINDNESS! 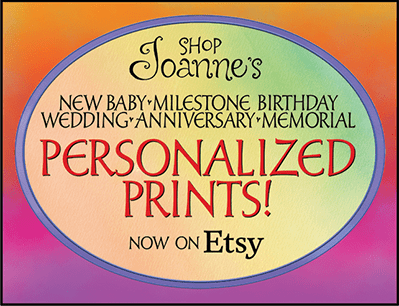 Congratulations to Jill Abernathy, who won the contest, and will get a big bunch of Digital Downloadable crafting products from my new Etsy Shop! 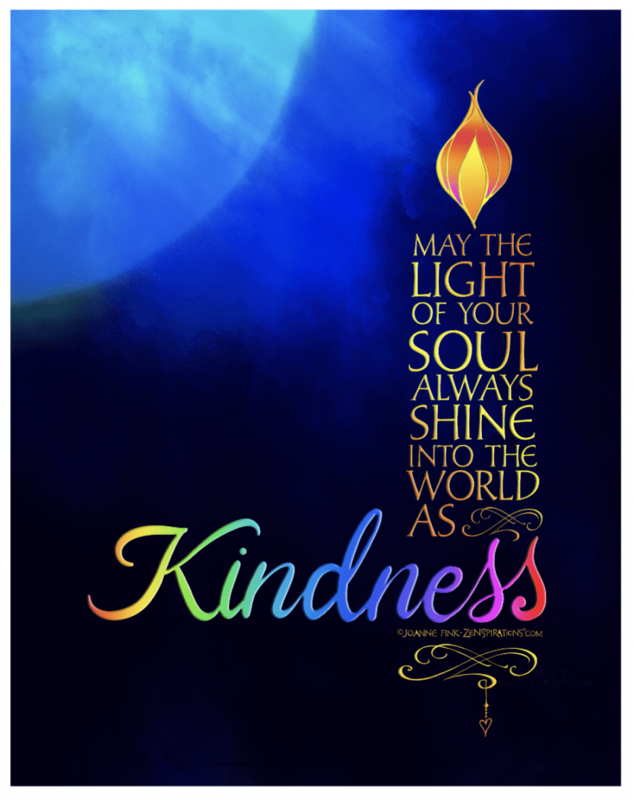 Speaking of the Etsy Shop, I’ just did a new piece about KINDNESSm and have added it to my ZenspirationsDesigns Etsy Shop as a Digital Download. Hope you’ll check it out and help me spread the word. PS This issue of the Live Zenspired Newsletter has a FREE DOWNLOADABLE morning journaling page on Kindness, which you can access by subscribing to the newsletter. I chose intention for your word. Joanne, you inspired me to choose one for myself this year and I chose “purpose.” Intention dovetails with purpose. In this world of outrage and upset it is not enough to emote, we must take positive action to make our world a better place. I love the reasons I have read inresponse to today’s blog, for the other words as the word for this year. Any or all of the words will yield excellent results, as so well described by your readers. I like intention because I see it as an action word which can be used for all good purposes. Similarly, any or all of the words can transform my word purpose into an fine intention as well. Thanks everybody, what a meaningful discussion!